Despite only owning a cat, I've always considered myself a dog person. More specifically, a Japanese dog person. Yes, I'm totally dogist against non-Japanese dogs (okay, Chow Chows and Malamutes are alright). On top of that, small dogs freak me out (so puntable). There are a couple of problems with loving Japanese dogs, though. 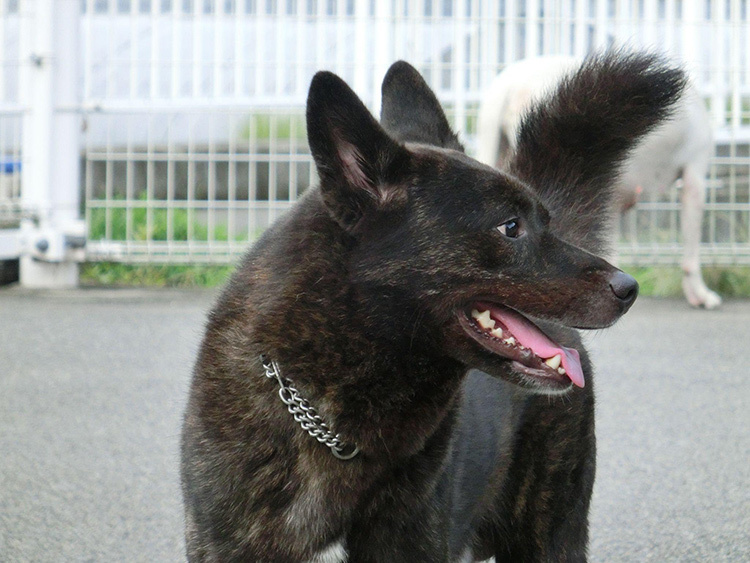 First, many breeds are very rare even in Japan, which makes them expensive and, well, rare. The other problem is that if you can't find one in the country you live importing them is full of its own problems. In some cases it's impossible. So, for now I'll just have to share with you my love for Japanese dogs via the internets. Yes there will be some puppies. Hopefully in the future I can grace you with real life puppy videos after I retire and become a Shikoku Inu breeder / tea farmer. Native Japanese dogs are "Spitz" type dogs, meaning they tend to have thick fur, pointed ears, and muzzles. Their tails are also curled like a little spring. 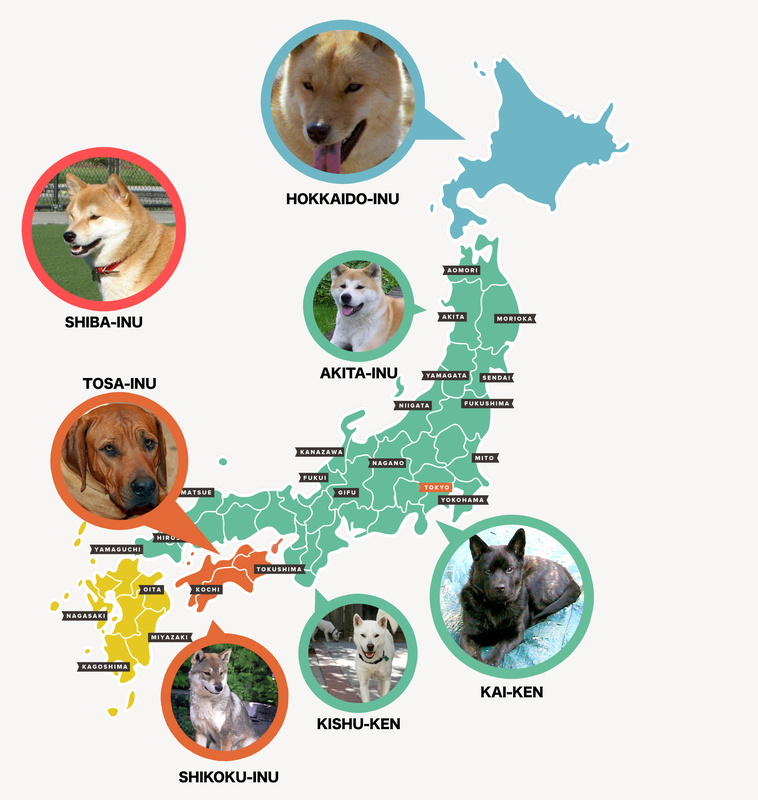 In Japan, many of the native dog breeds are named after the area in which they came from. 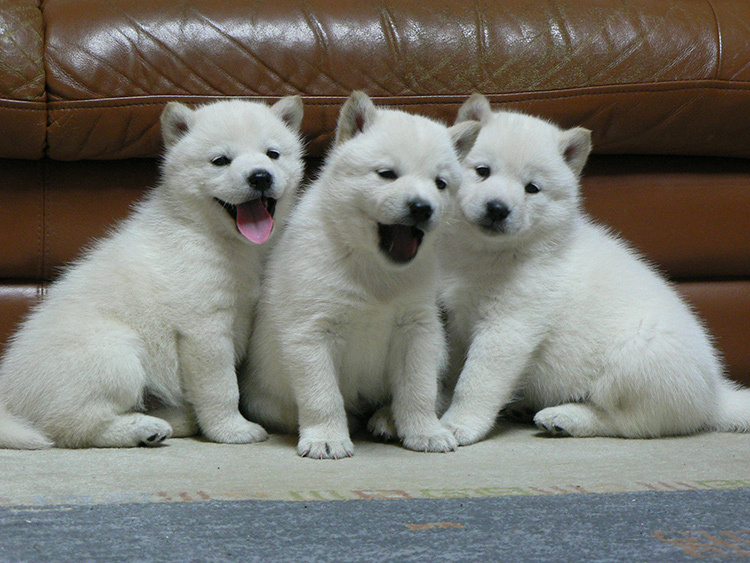 For example, the Hokkaido-inu is from Hokkaido. The Shikoku-inu is from Shikoku. The Shiba-inu (perhaps Japan's most well known dog thanks to the Shiba-inu cam) isn't really from anywhere in particular, but it's still very cute. This little map should give you a little bit of an idea of where these dogs came from. Let's look at them a little more closely. Japanese dog breeds are some of the most ancient in the world. If you want an "old world" dog, most of the native Japanese dog breeds will do the trick. Have you noticed how many of them look pretty wolfy? That's a pretty good sign in terms of how old the breed is, I'm guessing. Almost certainly the most well known Japanese dog. You may know of this type of dog from the Shiba-inu puppy cam that took the world by storm. They're a medium sized dog, have a thick double coat, and has pointed ears with a curly tail (it's a spitz, after all). They're one of the oldest dog breeds, so they tend to be harder to control and don't do great with children and other dogs without good training. Also, they're fairly independent and are also known to enjoy running away. Still, they're particularly nice dogs and keep themselves nice and clean. I wouldn't mind having a Shiba-inu if Shikoku-inus and Akita-inus didn't exist. 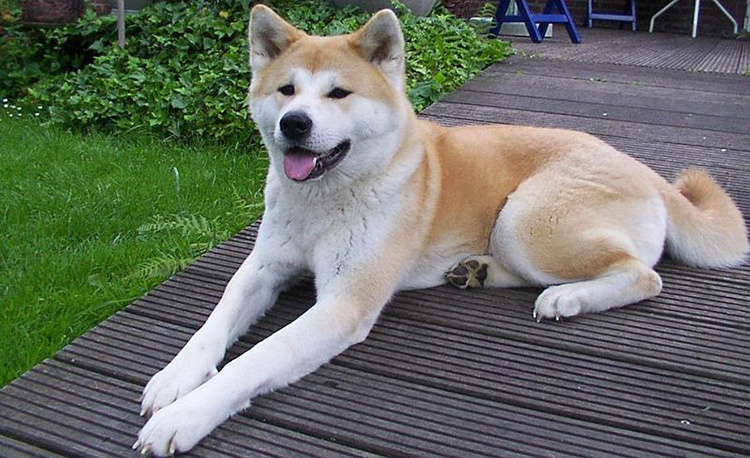 There are several different types of Akita-Inu, including a fairly distinct looking American Akita breed. It has the traits of the Spitz breed, but is one of the larger Spitz dogs. They actually almost went extinct during WWII when soldiers would kill them for their warm coats. An interesting book on this subject is "Dog Man." It's about the guy who brought the Akita back from near-extinction. 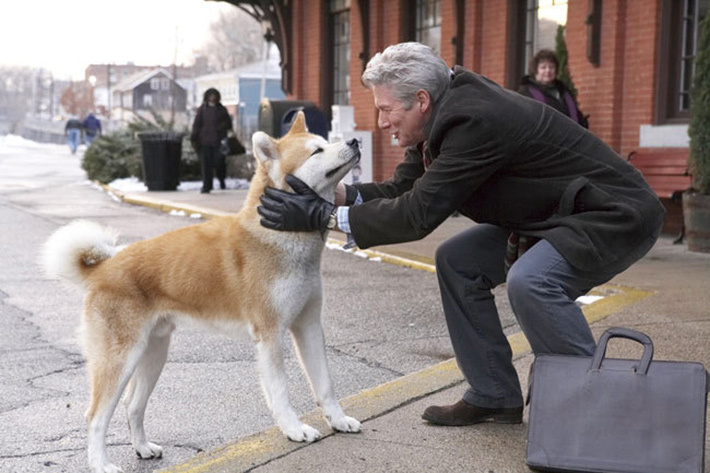 Also, this was the dog in "Hachiko: A Dog's Tale" starring Japan's favorite actor of all time, Richard Gere. The Akita is a combination of dignity, courage, alertness, and devotion. It is however fairly territorial and may not be good with strangers. That being said, it's also known for "having an affinity for children, just as retrievers have an affinity with sticks and balls," so, uh, I guess just make sure you don't toss your child across a field when an Akita is around. Just like a Shiba, they're also very clean even licking themselves and cleaning their face after eating, making them my ideal dog. This is a medium sized dog, kind of like a Shiba-inu. It is known for loving its owner, bravery, and its thick coat (it is from Hokkaido after all). Most unusually, it is able to fight the Hokkaido Brown Bear by attacking the bear's back, holding on to the bear's neck until the bear runs off. It's also a good hunter so… not a great farm dog if you want your chickens to stay alive. The Kai-ken is an interesting breed. It's a medium sized dog with a harsh feeling coat. It's known for its tiger-stripe fur. They're definitely very wild looking. They're intelligent, agile, alert, and brave. They're hunters and guard dogs, and do well with their owners but are reserved around strangers without good training. A little bigger than a Shiba, more wolfy, and from the Shikoku area of Japan. The thing that differentiates this breed from Shiba-inus is that they're a lot less aloof and a lot more alert to what's going on. That's pretty much the reason why I like these dogs the most, though they're harder to come by. They're loyal, cautious, brave, and are known to chase wild boars for fun. They're good for more active people since they need to run a lot, so don't get one and let it sit around in your apartment all day long. 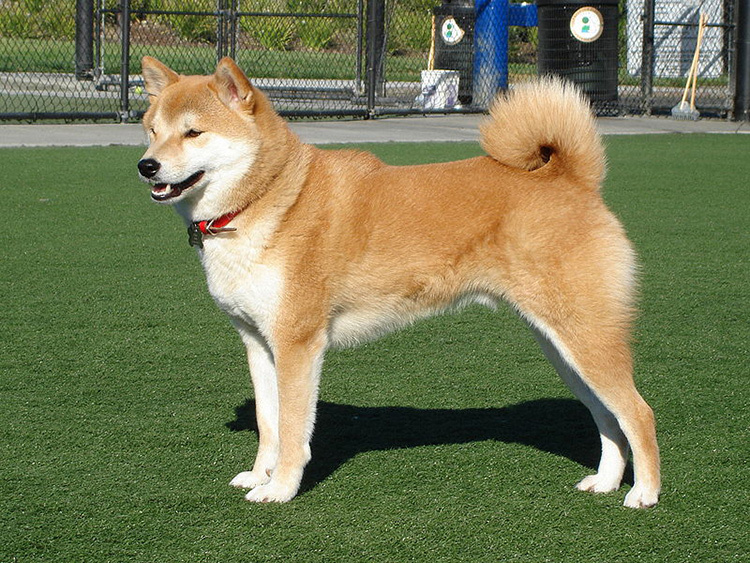 The Kishu-inu is usually white, has a thick coat, and is a one person / family kind of dog (aka they're super loyal). They're good hunters and like to chase prey, but will usually do fine with other dogs if socialized properly. Because of all these things, you'll want to be an active owner if you own one of these dogs. They need to runnnn. 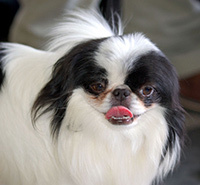 There are a number of breeds that are considered "Japanese" but were obviously imported. You can tell because they're as not awesome anymore. Ugh, here's where my dogism shines through. This dumb looking dog is small, has long hair, and is supposedly pretty calm despite being a tiny dog. They were originally brought over from China though Japan created their own distinct version of the breed. Noble houses would keep this breed as a companion / house pet, as it had no actual useful function beyond this. Seriously, though. What a derp-fest that face is. The Japanese Spitz is a fluffy small to medium sized Spitz breed dog that was developed in the 1920s by mixing various spitz dogs together. They're active, loyal, and fairly smart. They're good with children, too. One thing that makes them stand out is their longevity. 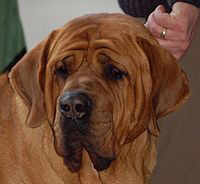 These dogs live 10-16 years, making them one of the longest living dog breeds. The Japanese Terrier is a small dog that's "lively and cheerful" in character… aka, it's probably yappy and annoying. They were brought over via Dutch merchant ships in Nagasaki. They became popular lap dogs in their time, though now they're a fairly rare breed in Japan. Some would call this a Japanese breed, though it's a bit in between. 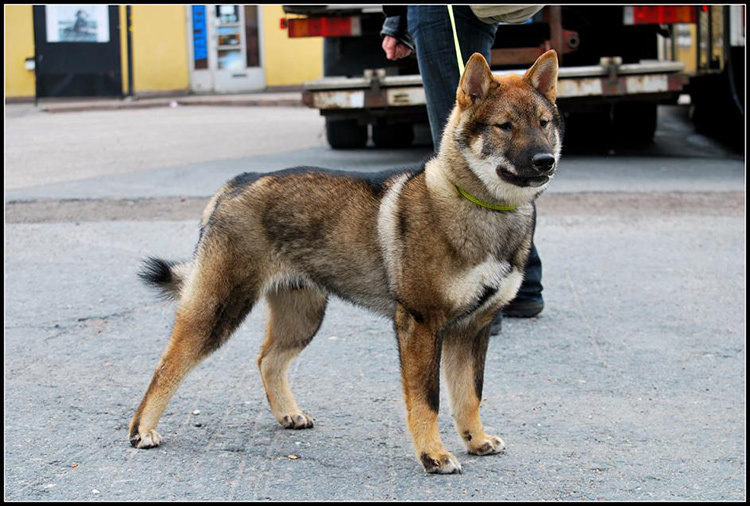 It's a mix between the Shikoku-inu and European dog breeds (such as the Old English Bulldog, Mastif, St. Bernard, German Pointer, Great Dane, and Bull Terrier. So, there's many different kinds and they don't look like Native Japanese dogs, though they are half. This breed is somewhat known to be a "dangerous dog," though I'm sure with proper raising it's just as nice as every other dog everyone's afraid of. It was also raised to be in dog fights back in the day, so, well, yeah, that. Not sure if this is really a Japanese dog or not, but it is related to the Akita inu. They were used in the ill-fated 1958 Japanese Antarctic research expedition. The dogs were left behind due to the researchers thinking a relief team would come to save them, but no relief team ever came. These dogs are very rare in Japan right now, probably because they were all left in Antarctica. No matter what the breed it's definitely harder than easier to get one outside of Japan. The Shiba-inu is probably the most common outside of Japan, but everything else is somewhat rare. Akitas and Shikoku-inus aren't impossible to find, but then you run into the Kai-ken and Hokkaido Inu, which are really really tough to find. If you look around you'll find breeders for a lot of these dogs, but just be prepared to travel a few hours to get to them unless you're lucky. If you're unlucky you won't find any breeders at all. Some of these dogs are Japan-only because they're "national treasures." Importing a Japanese dog from Japan has its own challenges as well. You'll have your work cut out for you in terms of finding a breeder first of all willing to export their dog overseas, let alone to someone who's not Japanese. They're Japanese dogs so many Japanese breeders want to keep them in Japan. The dogs are so rare already. No matter what you do be prepared to pay up the nose. The most common type of Japanese dog, the Shiba, is probably the cheapest. Still, that will run you ~$1000+. It basically goes up from there. Shikoku-inus will run you a couple thousand. And, if you're planning to import from Japan be prepared to pay an extra $1000+ to get them shipped. Even if you do it yourself via the airline it's a few hundred dollars, and there are many hoops around this you'll have to jump through. So, basically it's really hard to import. It's also hard to find many of these breeds in your own country. It's not impossible, but if you want a Japanese dog be prepared to spend a lot of money and run into a lot of obstacles. P.S. Did you notice the "inu" and "ken" thing after each dog's name? They're both readings of the kanji for dog: 犬. The kun'yomi reading is いぬ (inu), and the on'yomi reading is けん (ken). Sometimes they can be switched and that's okay, so you'll see DOG+ken and DOG+inu a lot. Just know that if you see either it probably has to do with dogs, not Ken dolls.